Is it Time to Purchase 4K TV? 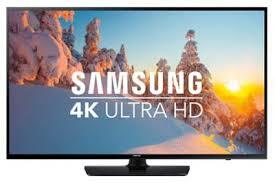 4K or Ultra HD (High-Definition) technology has been looming over the TV industry for several years. Approximately a decade ago, most of us have jumped from 480p (or lower) resolution to HD (720p or higher), and now 1080p is seen as a standard. In this process, many people have bought a new TV to keep up with the technology. Nowadays, we can say without any doubt that 4K technology is here to stay. So, is it time to buy a new TV? What is 4K actually? This technology brags that is has 4 times the amount of pixels as now standard displays (1080p); it’s 3,840*2,160pixel resolution for TVs. Televisions with 4K technology have trickled into the market at a slow speed; the curves of price and adoption are similar to those HD TV technology once had. In fact, 4K televisions cost an arm and a leg a few years ago and, what’s more, 4K content was rather unavailable. Nevertheless, today purchasing a 4K TV as a new big screen is highly recommended. Both the market and technology have become more mature; a 4K TV is now more affordable, the technology doesn’t lack a standardized format for video transmission and content is more available. In addition, a lot of 1080p content simply looks better on a 4K TV screen, although, of course, it doesn’t look as good as native 4K video content. Simply put, everything looks sharper, more crisp and better on a 4K screen. Watching 4K TV feels more like you’re looking through a window than watching a telly; images look astonishingly life-like. If you’re still satisfied with your 1080p HD TV, you don’t need to throw it out. However, if it’s time for you to replace your TV, you should by all means consider buying 4K TV. Also, make sure you choose best 4K TV screensavers, too.